Do You Like to Shop Online and Save Money? Do you like Botox®, Juvederm® & Latisse®? 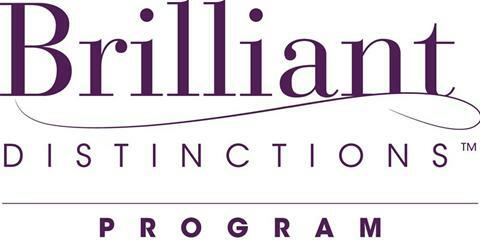 Are you a Brilliant Distinctions® member? Have you checked out the New Brilliant Distinctions® Online Mall? This is a great site to go to if you like to online brill distshop, while building up points for your next Botox® and/or Juvederm® treatment, or your next Latisse® purchase. How do you find the Brilliant Distinctions® Mall? First, log into your BD account. Then click on the Earn Points tab. Look for the box that say's "The New Brilliant Distinctions® Mall" and click on it. Let the shopping begin! You'll find daily and featured deals, there is even an area with coupon codes! Shop hundreds of retailers like Nike, Calvin Klein, J Crew, Gap, Apple, Best Buy, Ugg, and so many more! Going on a vacation? Make sure you check under the travel category first - you might be able to score some extra points by renting that car or where you are staying! Not a Brilliant Distinctions® Member yet? Sign up now! It is so easy to do, log onto BilliantDistinctionsProgram.com and click the "Register Now" link. Every time you purchase a treatment of Botox® or Juvederm®, or a Latisse ® product Luminata will issue you points. Those points turn into savings for your next treatment.